We all need good and plentiful storage in our lives; whether it's enough wardrobe space to store our clothes or enough kitchen cupboard storage at home, or adequate shelving and filing cabinets for paperwork in the office. 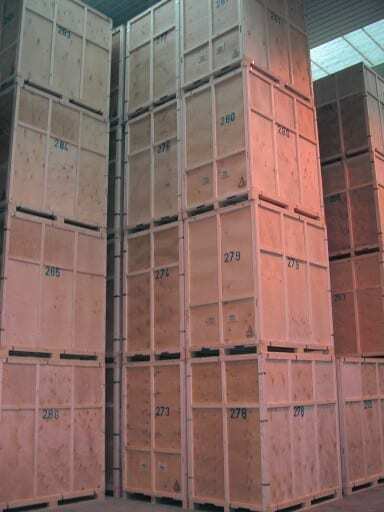 Small online businesses require more general storage space to keep their stock ready for shipping to customers. Larger businesses require warehouse space to store their wide range of products. So storage might not seem very exciting but it is essential in all areas of our lives if we, as individuals or businesses, are to be well organized and avoid clutter and chaos. But there's more to storage than just somewhere to place our possessions and keep them neat and organized, self storage at a secure facility can also provide a whole range of options for protecting more unusual items such as rare hobby collections, wine collections, vintage cars or antique heirlooms. Pretty much anything of value (either sentimental or monetary value) can be safely stored in a self storage unit if we don't have room for it in our home or business premises. Some of the larger units that might typically be used by those people who are moving house or by businesses as a less expensive alternative to warehousing are actually shipping containers, some of which would have had a previous life on the high seas but many are simply purchased just to provide storage space. These shipping containers themselves can alternatively provide accommodation such as temporary offices and additional facilities for schools or sports centres. Shipping containers can even be used to build low-cost housing and even architect-designed housing. You can see some of these structures on our website - so the whole idea of storage and storage containers – right from basic cupboards in our kitchens to additional office space and even homes are present in all areas of our lives and work. Self-storage If you think you know self storage, think again. This is self storage with a difference; hassle-free with free collection and delivery of your possessions to a secure facility. No more transport costs or lugging heavy boxes. Storage and shipping is a particularly important investment for companies that produce perishable, hazardous or very fragile goods. Foodstuff manufacturers, chemical companies and medical supplies companies require a much higher quality of shipping and storage containers than individuals simply shipping their personal and household possessions from one location to another. The steel containers are manufactured to protect goods from a range of weather conditions experienced when shipping goods around the world but they may also need to be insulated from the extremes of weather to protect the contents. And for perishable goods the storage containers will need to be individually temperature controlled. Shipping certain medical supplies that might be the target of theft will require additional alarmed security systems and alarms may also be necessary to trigger a significant drop in temperature in a refrigerated container containing foodstuffs. So a solidly constructed steel container with well-sealed doors to keep out the wind, rain and seaspray is a must but there are many other factors to take into account before deciding which type of container to use for your precious cargo. Insulation, refrigeration, ventilation, security locks and alarms, and also the floor construction are just some of these. When shipping hazardous chemicals there are regulations for different types of hazardous goods and also requirements concerning the responsibility to prepare and pack the goods before transportation to ensure that all regulations are complied with. Fines and penalties are in place for any non-compliance.